It was reported that Jose Mourinho whilst at Chelsea was competing with Manchester United for the Southampton Left-Back. Luke Shaw decided to join Manchester United instead and Jose Mourinho may have a grudge over it. Since his injury Luke Shaw clearly hasn’t been the same but he definitley made huge progress compare to other players who have had similar injuries. He has been flying into tackles but the only thing that has let him down is probably his fitness. When a professional athlete at that standard gets an injury that forces him to stop training completely let alone walk his fitness levels take a massive hammering. 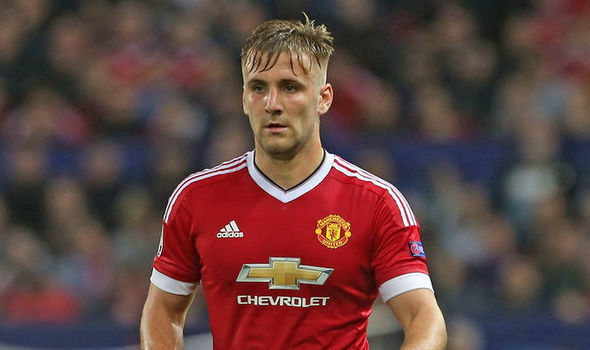 Luke Shaw even though a left-back he is very similar to Wayne Rooney or Carlos Tevez in terms of fitness. Once they’re completely fit, they’re world class but once they slack behind and start gaining a little bit of weight it really goes against them as their game is all about high pace, tracking players down and taking players on. He’s definitley technically gifted but he needs to slowly get back to full-fitness and if Jose Mourinho understands the situation he will loan Luke Shaw instead of sell.